Many people get confused when they are asked about how adultery affects alimony orders. 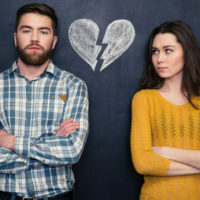 In some states, one spouse’s extramarital affair can have quite an impact on his or her alimony order, depending on whether he or she was the adulterous spouse or the “innocent” spouse and whether he or she is seeking alimony or being asked to pay it. In other states, adultery and other actions that harmed a couple’s marriage has little to no impact on a resulting alimony order. In Florida, an act of adultery itself does not impact a couple’s alimony order, but it can affect the alimony order when it causes the non-adulterous spouse to suffer financially. Each partner’s parenting time and responsibilities with the couple’s minor children, if they have any. Going on vacation with the affair partner. Adultery hurts, but alimony cannot compensate a wronged spouse for the emotional distress he or she suffered as a result. If you claim your spouse committed adultery and spent marital funds on his or her affair partner, you must prove it. You can prove it by providing financial documentation to the court that shows marital funds being withdrawn and used. Your lawyer can help you obtain and use this documentation. He or she might enlist the aid of a forensic accountant to uncover hidden bank accounts your spouse created to store affair funds and to follow money trails to uncover his or her behavior. Marital funds belong to you both, and when one partner takes joint funds to pay for his or her extramarital behavior, that money comes out of his or her share of the marital estate. If you are considering filing for divorce or if you have already done so, be sure to work with an experienced Orlando divorce lawyer who can advocate for you and protect your rights through the divorce process. To get started with our firm, contact the Law Offices of Steve W. Marsee, P.A. today to set up your initial consultation.